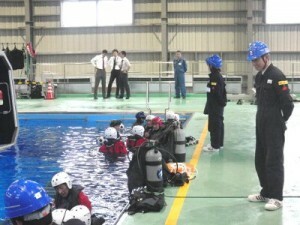 Tokyo Fire Department visited NSTC. Tokyo Fire Department training personnel visit to NSTC. The Staff were satisfied after confirming such matters as to NSTC’s safety standards, facilities and course content for the comfort and easing of anxieties for the delegates.